Sometimes, even in a hunter's crazy life style, there are quiet moments. Between cases, mostly, when there's no monster to be killed, no ghost to salt 'n' burn, no demon to exorcise, just a few precious minutes of peace. 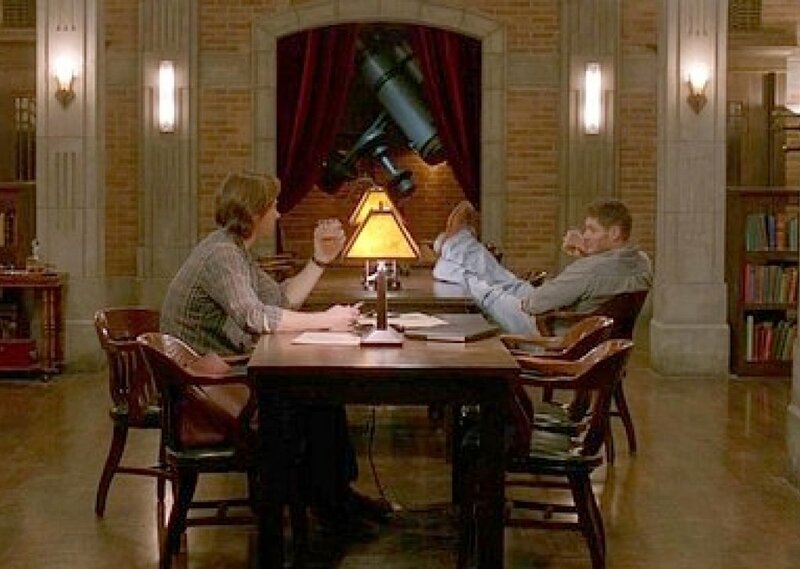 In the bunker, Dean on your left, Sam on your right, Cas around somewhere, passing the time by reading up on some supernatural lore. Comments for "Quiet with the Winchesters"
License details for "Quiet with the Winchesters"